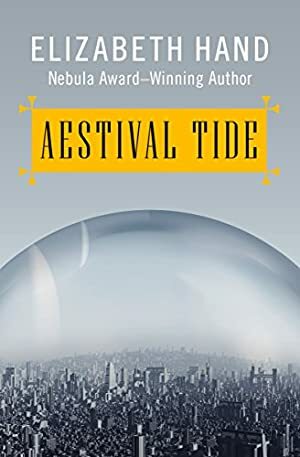 In Aestival Tide,Elizabeth Hand returns to the extraordinary Winterlong universe. In Araboth -- the majestic, domed, multi-tiered city of the Ascendants -- obsession with beauty and power vents in haunting, horrific ways. The resurrected Margalis Tast'annin has become the Aviator Imperator of the Ascendants, enslaved by his former lover and exiled to the debauched city of Araboth. And the city that was once home to an advanced society is now a shadow of its former self. Now, as the once-in-a-decade Aestival Tide approaches, the formerly great dome teeters on the brink of its own destruction. This ebook features an illustrated biography of Elizabeth Hand including rare images and never-before-seen documents from the author's personal collection. Log In to track Elizabeth Hand on eReaderIQ. to be notified each time the price drops on any book by Elizabeth Hand. to stop tracking Elizabeth Hand. We started tracking this book on December 5, 2012. This book was $7.99 when we started tracking it. The price of this book has changed 71 times in the past 2,330 days. The current price of this book is $7.99 last checked 22 hours ago. The lowest price to date was FREE last reached on December 16, 2016. The highest price to date was $7.99 last reached on March 17, 2019. This book has been $7.99 6 times since we started tracking it. We last verified the price of this book about 22 hours ago. At that time, the price was $7.99. This price is subject to change. The price displayed on the Amazon.com website at the time of purchase is the price you will pay for this book. Please confirm the price before making any purchases.